Imagine one ancient alien dirty old man species who almost wiped themselves out.. seeking refuge on a planet with a spiritually powerful yet naive maiden species. They destroy any natural nature worship and disconnect them from mother earth's energy.. then they graft their own egos installing themselves as gods with the ability to absorb that power that comes from unconditional reverence. They have been keeping us enslaved for a millennia with generational trauma mainly using religion to control and cull. This trauma has been shown to have an effect on dna.. there is no way of knowing how many generations will and have inherited that. We do have "saviors" come and save us when we start becoming aware something is "wrong", and we do start fighting back (like now) but usually after that it just happens all over again. We can always change back, so long as the external conditions allow it. Care to post the citation on that diagram neighbour? Someone spent a lot of time drawing it after all, and you claim to be a writter (and thinker), its professional courtesy. Ok the genome is only so "plastic" and "changing back"? Oh prey tell how that happens after methlylation and other modifications? If you feel it is so, I can give you a few litres of Magic Methyl to "modify" your DNA, and see how you go. Hmmm, ever heard of University of Chicago molecular-biologist James Shapiro? Check out his "Evolution: a View from the 21st Century". Or read "The Gene", by Siddhartha Mukherjee. I read a lot, and therefore make images or schemes for the ideas I think. I find it amusing how you feel the need to mock and deride me. Those of you honestly researching the truth do you feel that this experience has brought you closer to god or the force that's behind this universe? I honestly do not think we can "go back" on a genetic level as I think we have been adapting to the oppression and collectively fighting it for too long. We are still evolving however not in the nurtured direction it should have been. I don't think humanity will be monsters but we will eventually pull rank on these predators. We are stronger than we give ourselves credit for. Well, the biological evidence says otherwise. We live in a system of interpersonal relations i.e. the "spiritual world" is between us. So if we can get control of how our society is organized, the social "energies" will act upon our integrated biodynamical system, which in turns acts upon the genome through epigenetic mechanisms. The situation is fully resolvable. Thats very nice. One of my degrees includes bioinformatics (specifically genomics) in it. SO. 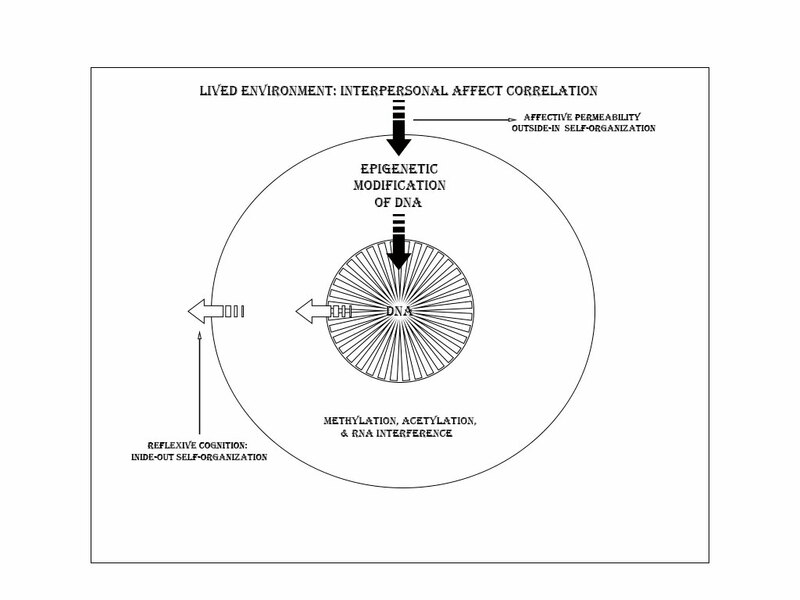 While the diagram is a diagram of how DNA can be altered. You appear to be implying things about DNA which are not true. The genome is not that "plastic". Like I said, go play with some magic methyl, it will methylate your DNA but good. Try turing it back? It is why methylating agents are considered bad. Or are you going to say "well thats a chemical, not natural" ? I am not deriding your ideas. I am questioning them. If you can't handle that, that is not my problem. Its fine to quote people, but throwing a name out there, is not particularly useful as a source. I've met James Shapiro when I was working in Milwaukee (at a well known chemical company, academics visit), and eah I've read all of Siddhartha Mukherjees books as well as many of his academic papers.